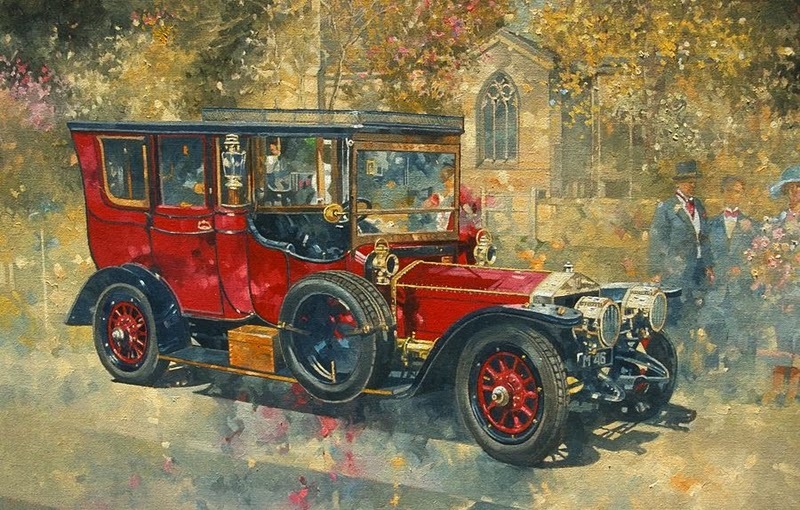 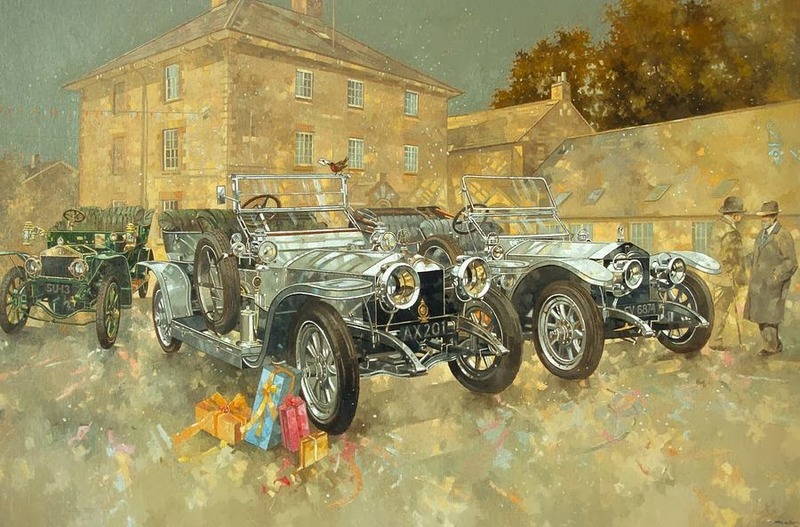 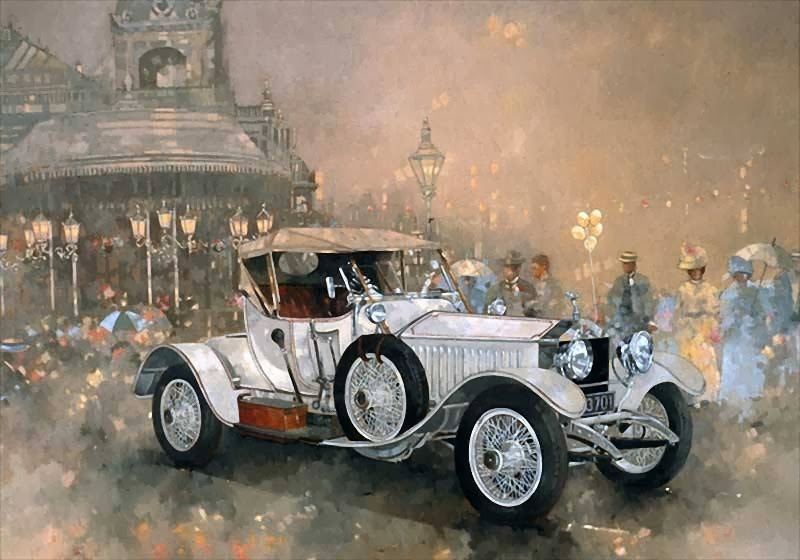 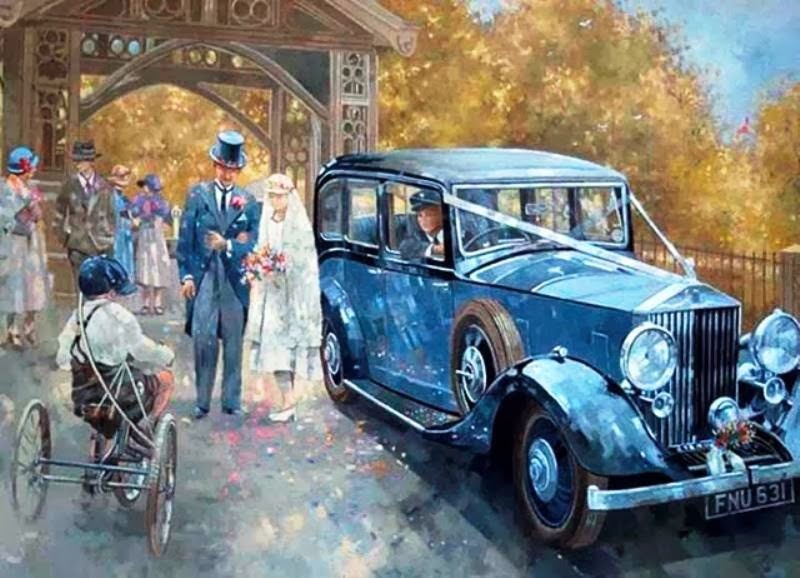 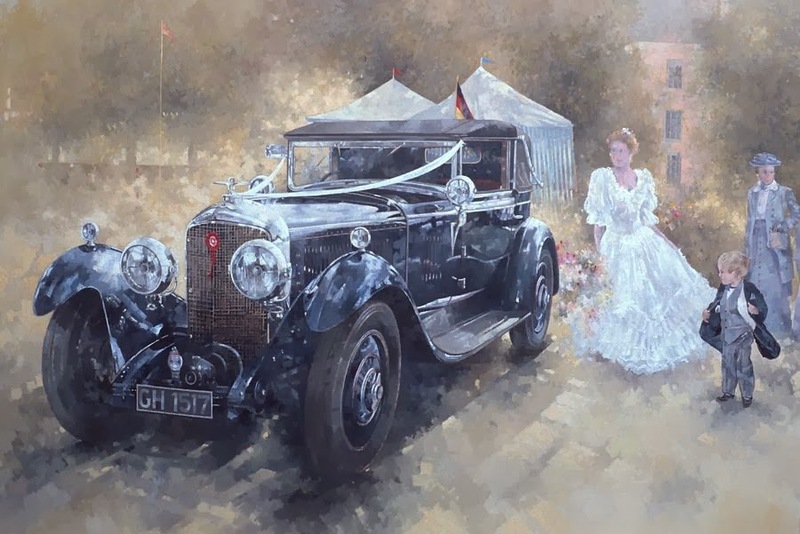 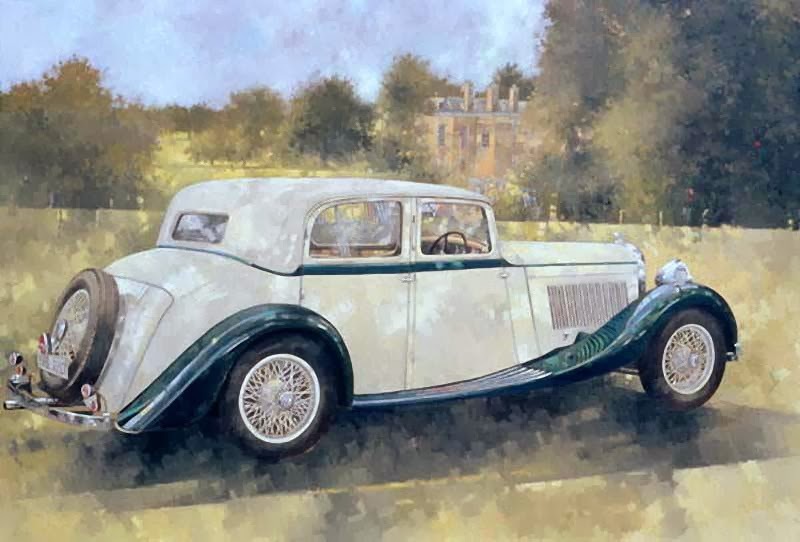 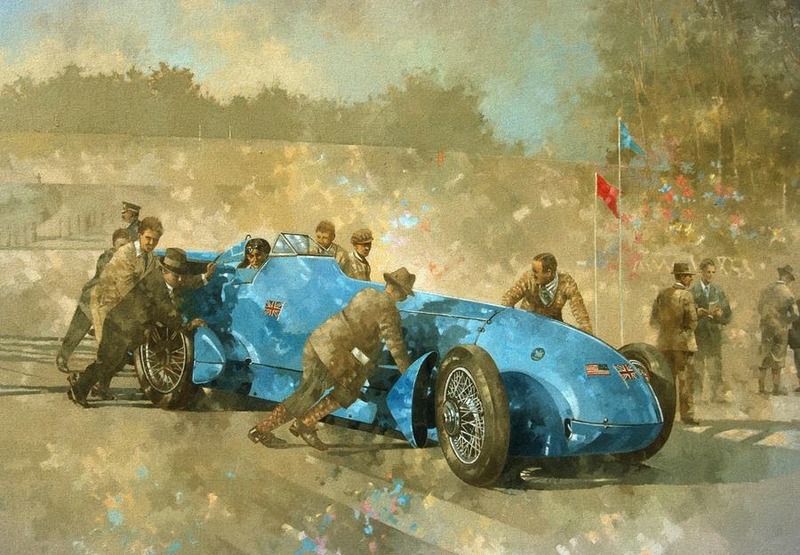 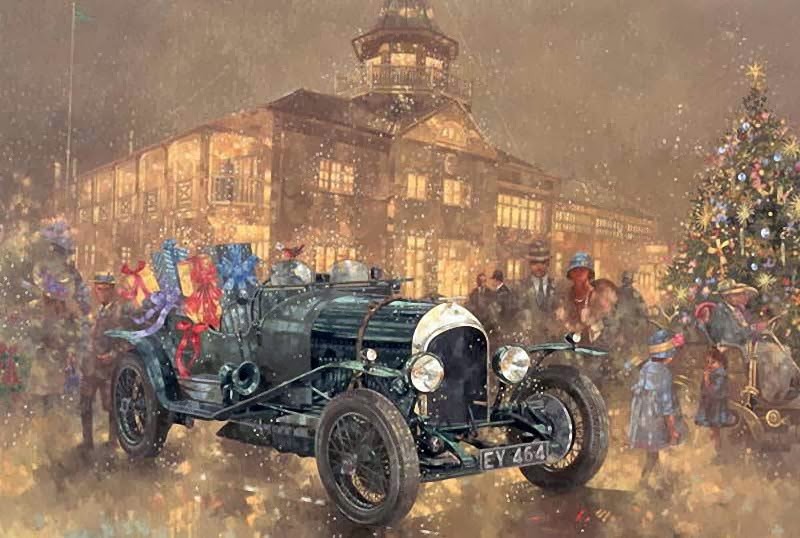 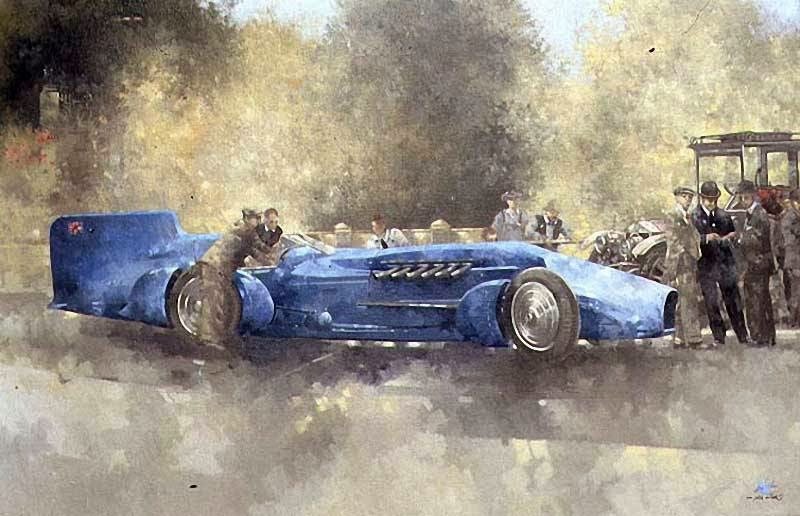 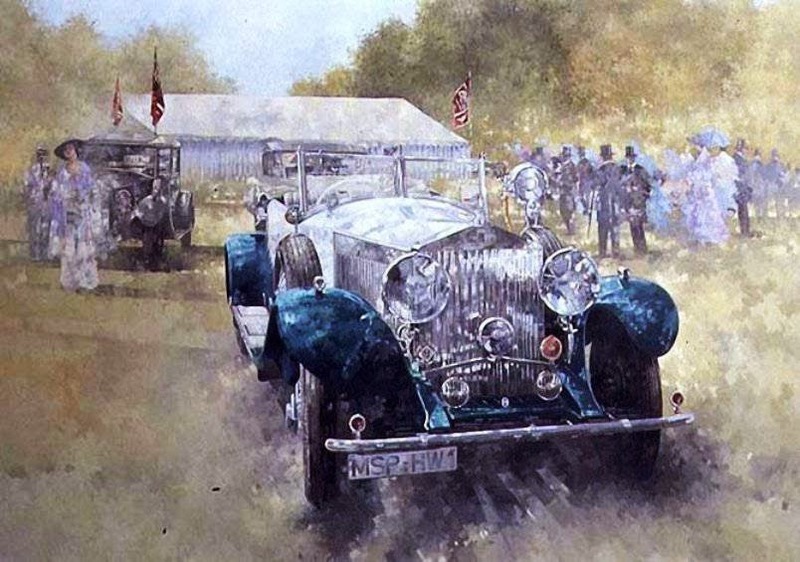 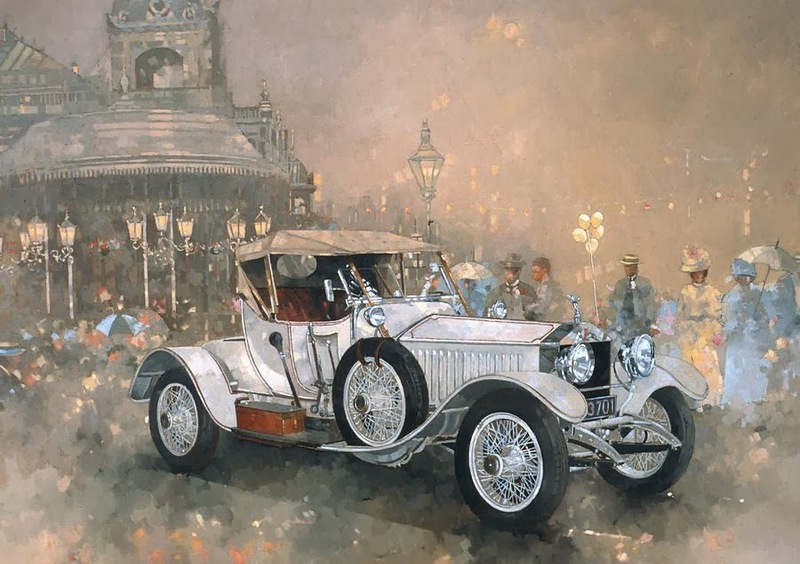 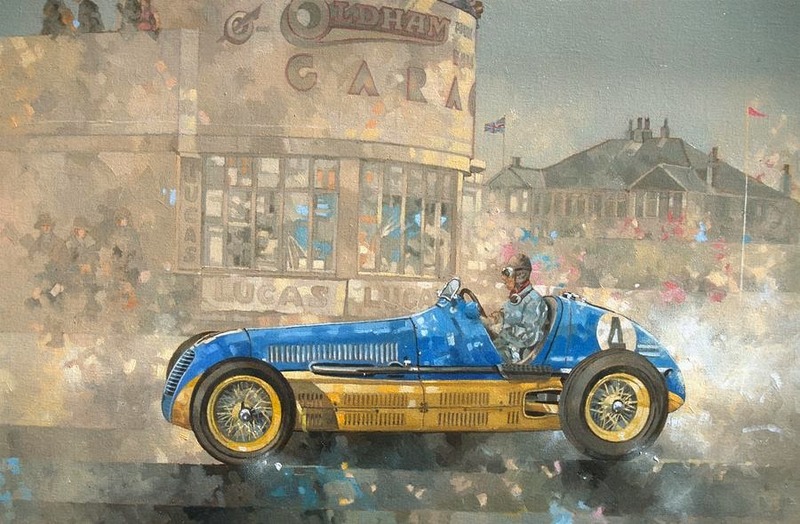 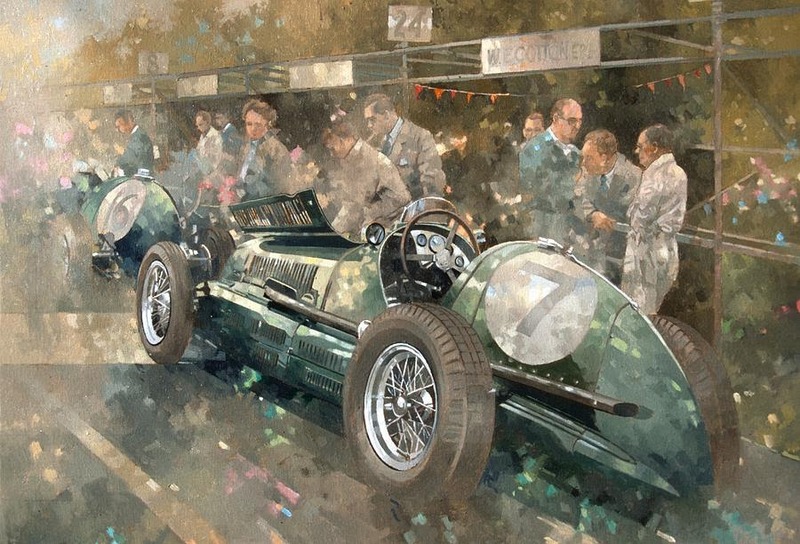 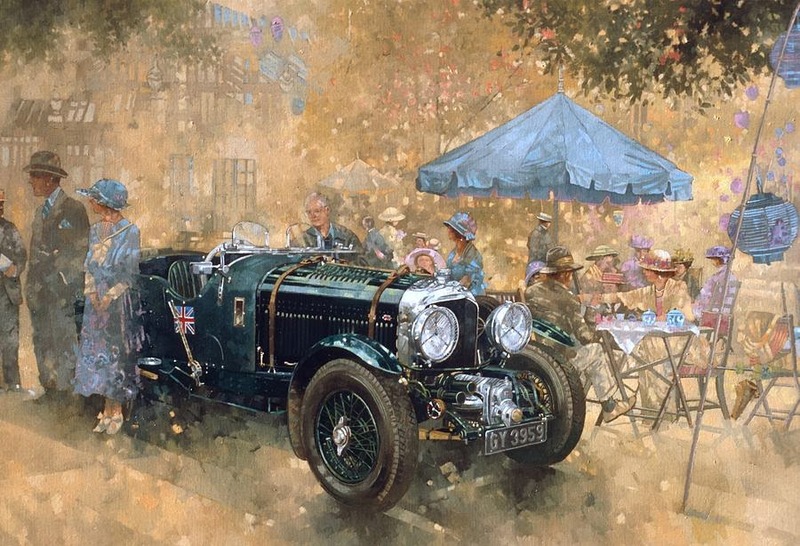 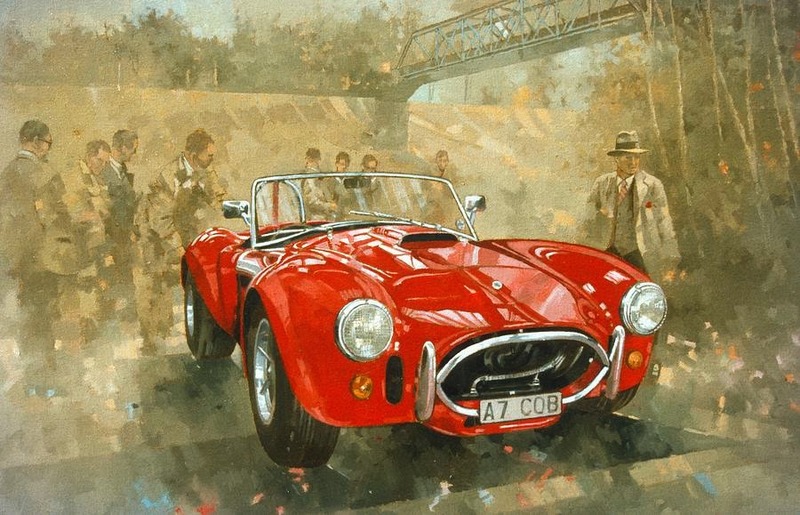 British painter* Peter Miller (1939-2014) has been inspired by the early motoring scene and the evocation of the Golden Era which it personifies. 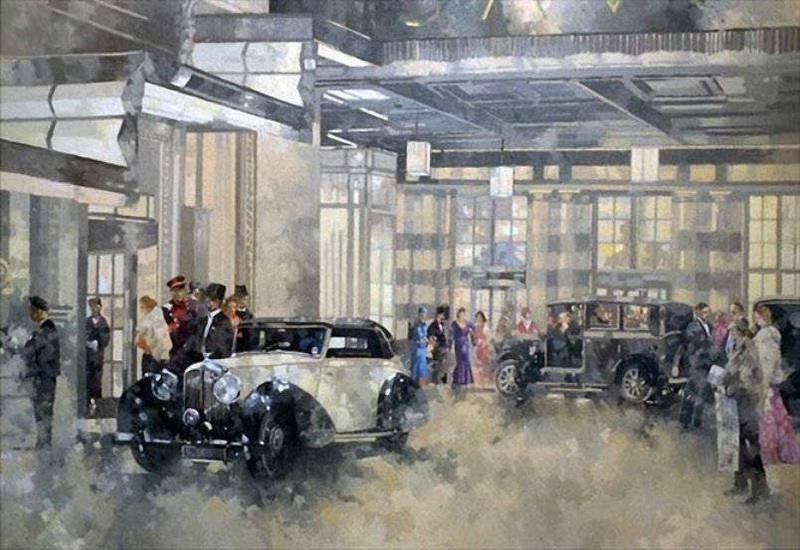 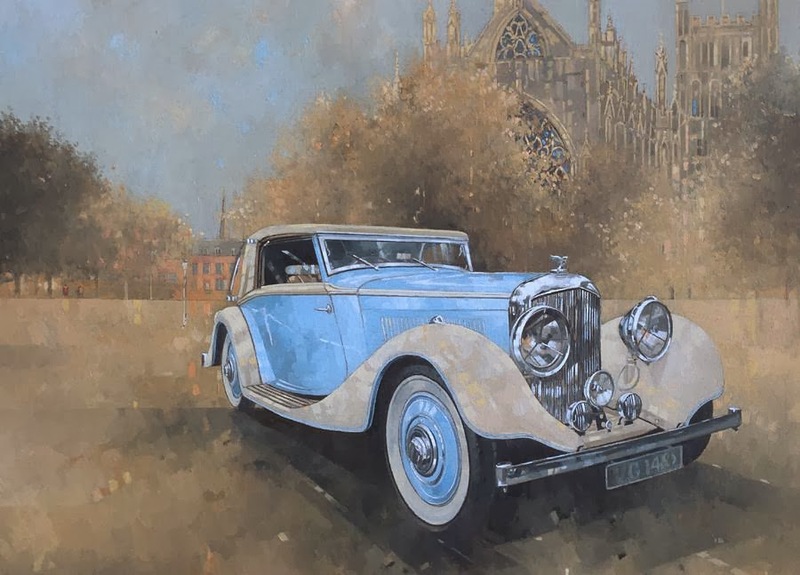 The key subject matter in this has been the Rolls-Royce and Bentley Motor Car, particularly the cars of the 1920s and 1930s. 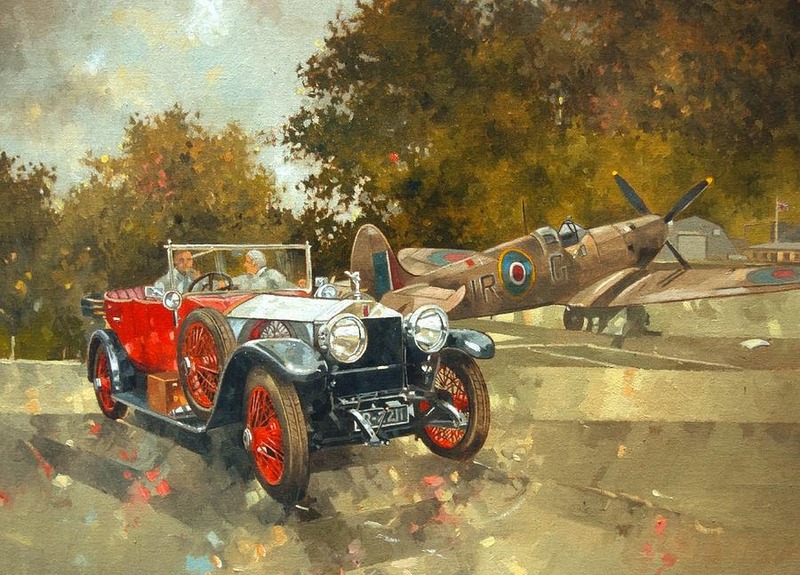 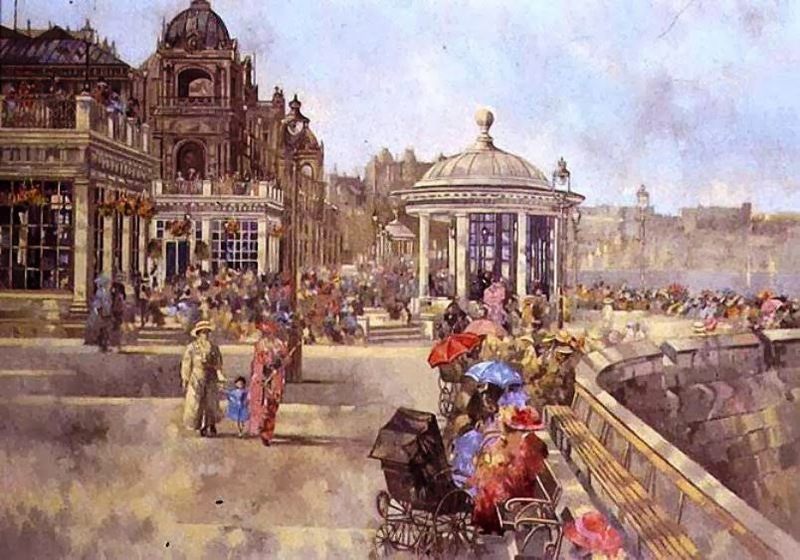 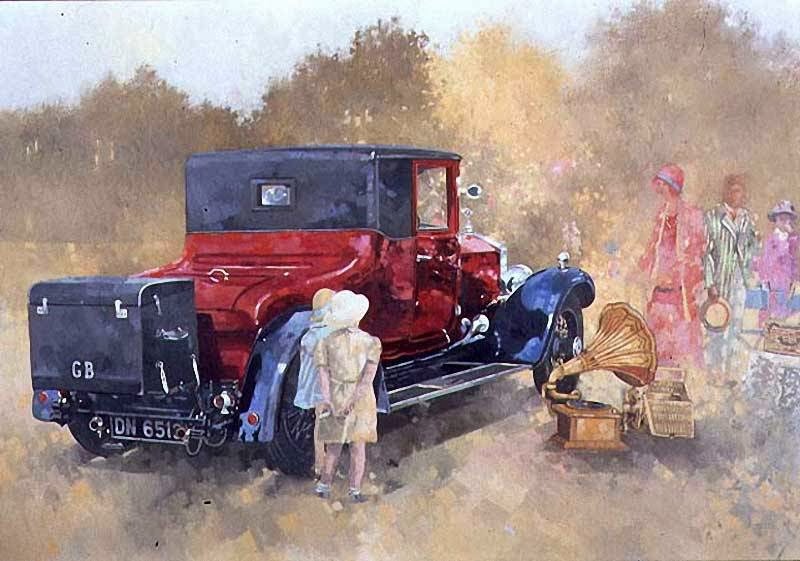 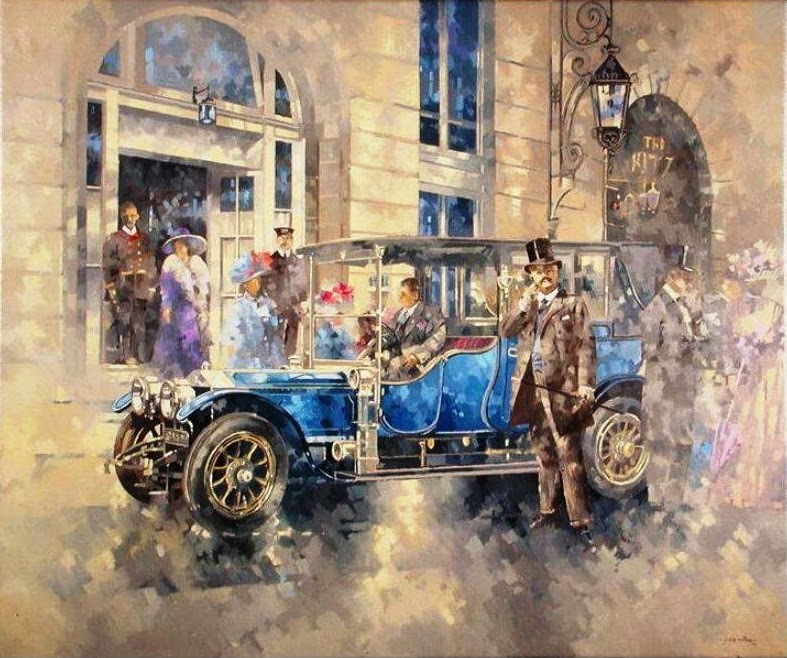 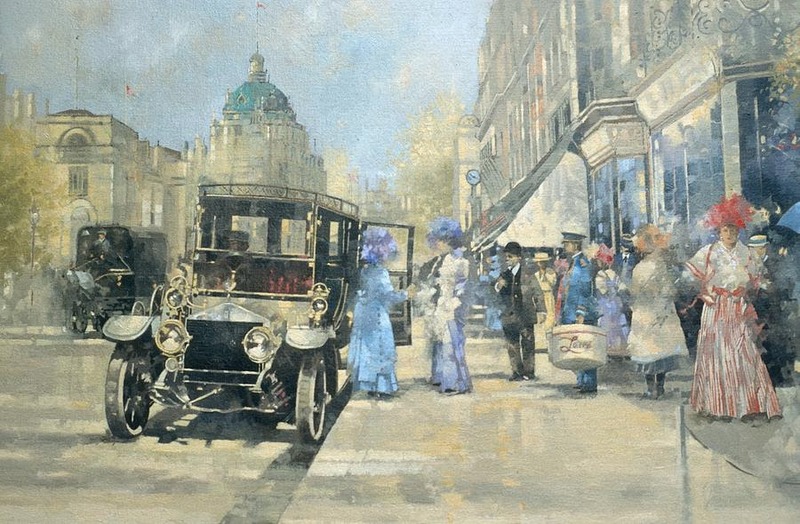 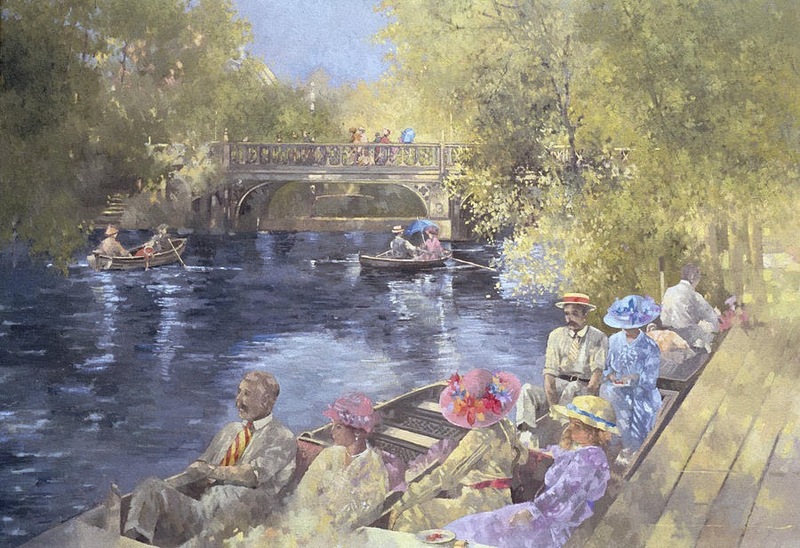 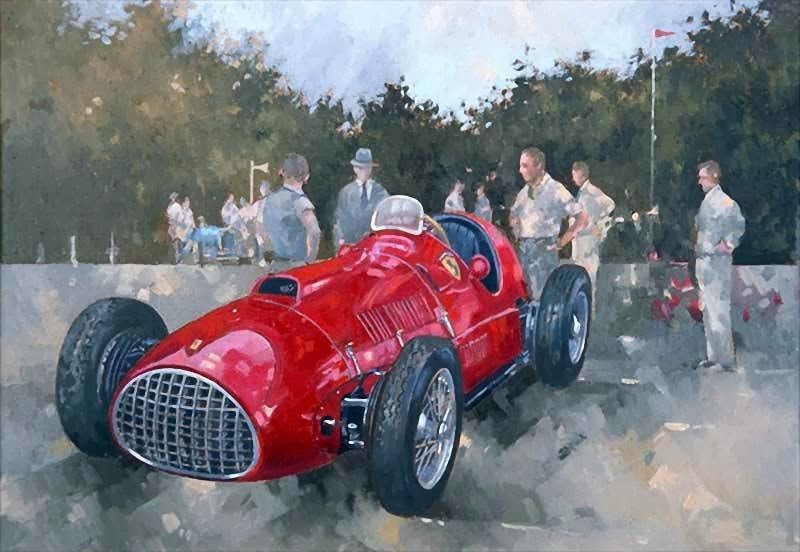 Painted with genuine feeling and creative intensity, his sole aim was to create a good painting not just a picture of a motor car. 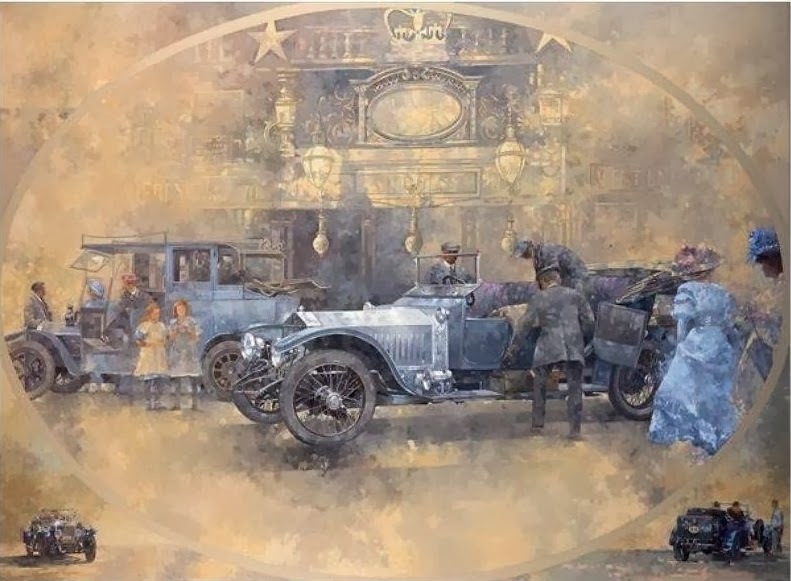 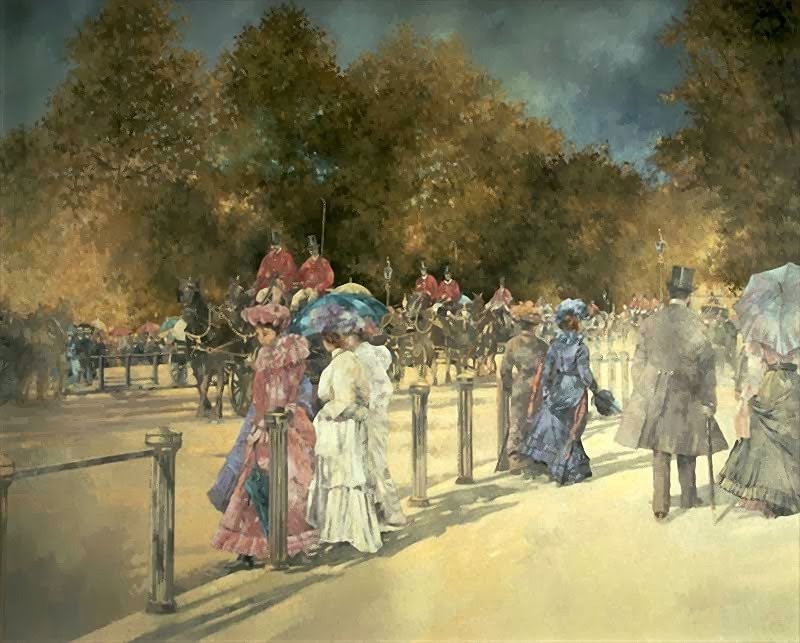 The series was originally planned as a thematic series of twenty works which eventually developed into a total of 108 oil paintings, of which eighty two were recently displayed at Gibson Moore Fine Art gallery in London. 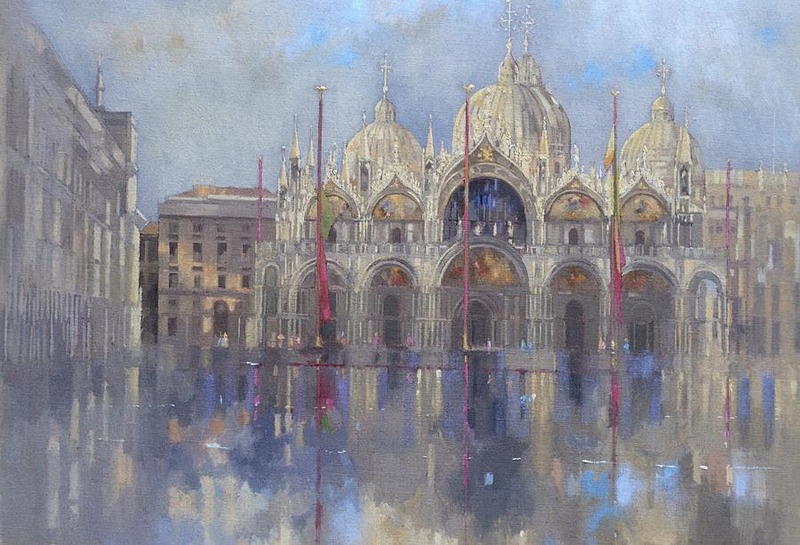 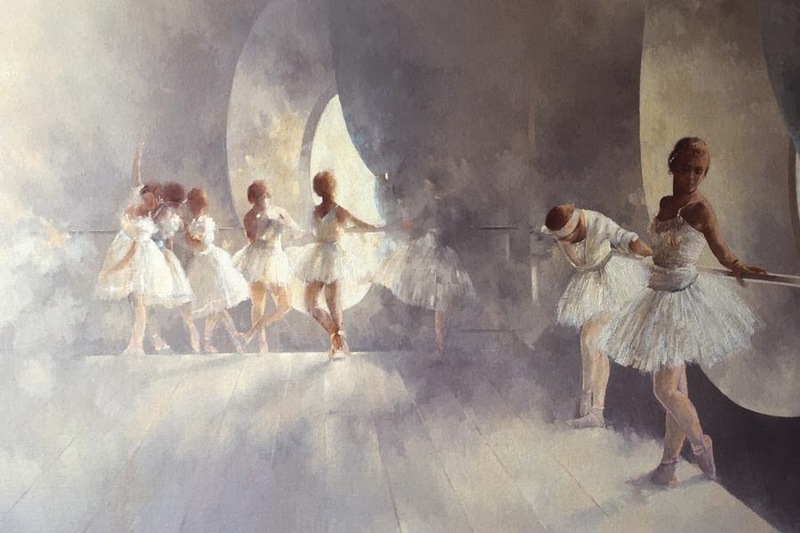 Peter Miller has exhibited at many solo exhibitions and mixed and group exhibitions.